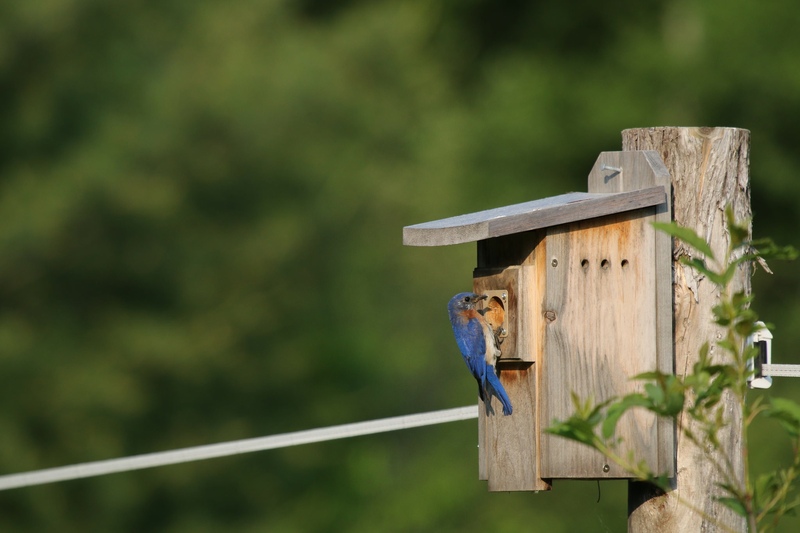 After many years of trying, we finally attracted a pair of Eastern Bluebirds to one of our nest boxes, and I have spent the spring and summer awakening to their soft gentle songs. So far, they have successfully raised two broods of little ones in the nest box we put up in the field right behind our mailbox! Every morning I am home, I go check out their activity on my morning walks. Below is a photo of one of the young of the first brood. 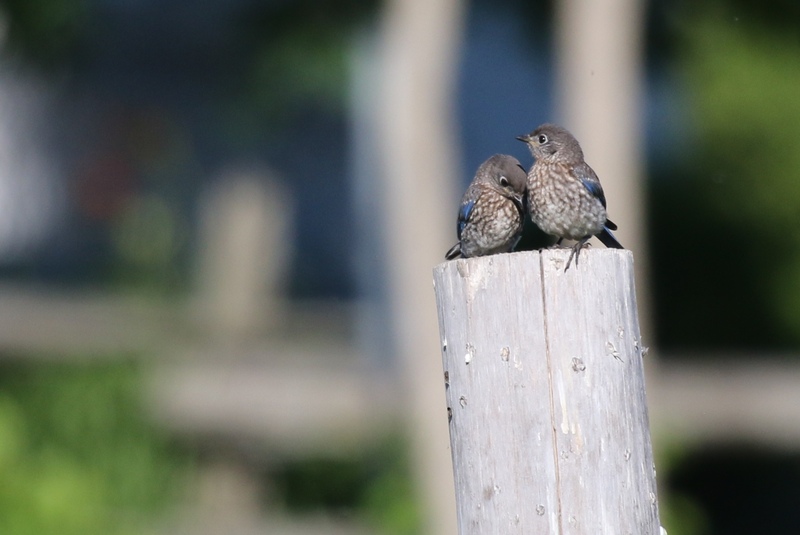 The juvenile bluebirds have brown/grey streaking on their breasts. At this point the second brood of little ones has fledged and they are flying around far and wide. 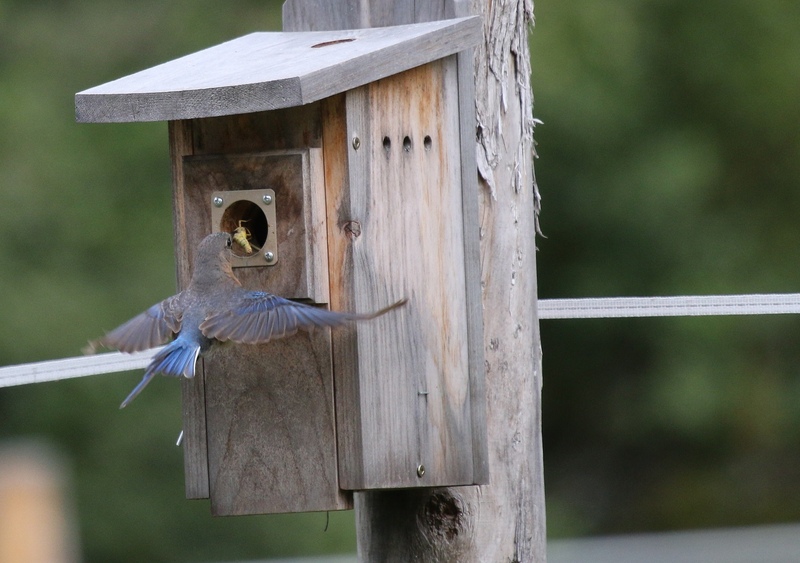 Though my goal this summer has been to get a photo of the parents actually feeding the young outside of the box, I have not achieved that yet! 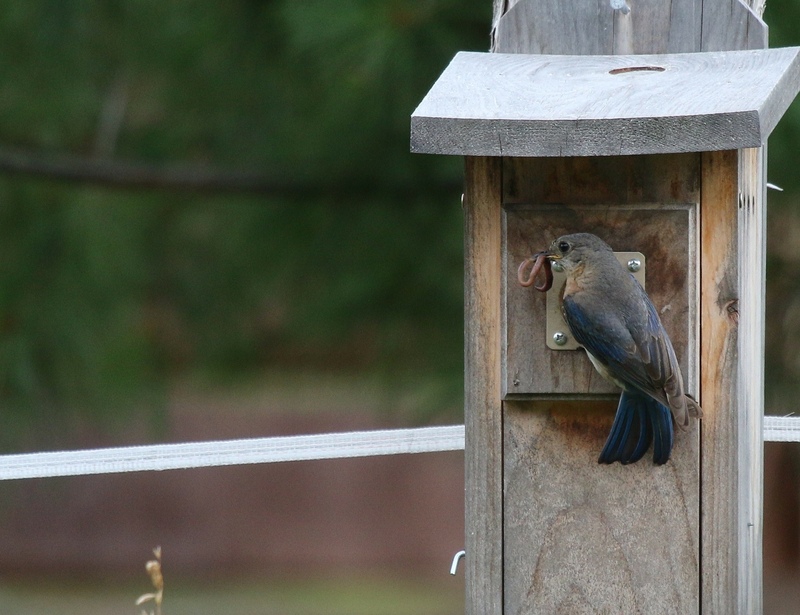 Regardless, I have witnessed all the different delicious foods the parents are catching and taking inside the box to feed their babies, and have seen the first set of little ones hunting for their own food. So that’s pretty good. See if you can figure out what’s on the menu in the photos below. Raising young is busy work! But totally worth it- look at these babies! In the next little while I will be keeping my eye out for the second batch of babies- they just fledged yesterday. Wish me luck! 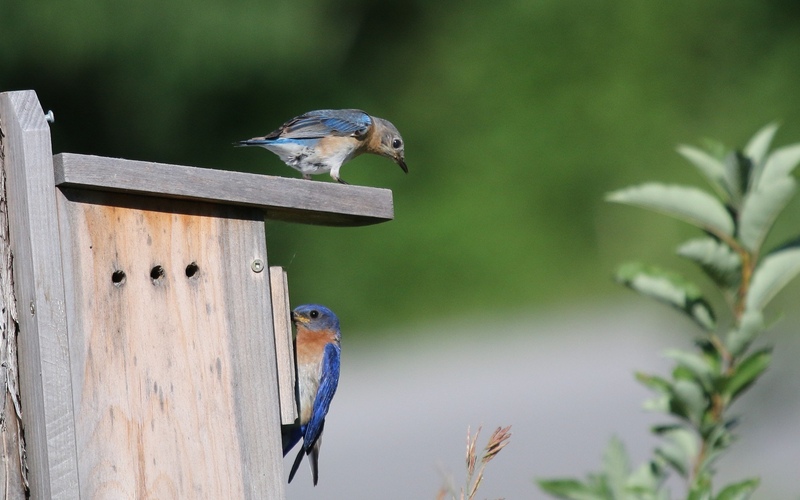 baby bluebirds, eastern bluebirds, nature photography, nest box. Bookmark. Congratulations on your new tenants! Your fabulous photos tell such a compelling story of raising young and the constant demand of food for their young. 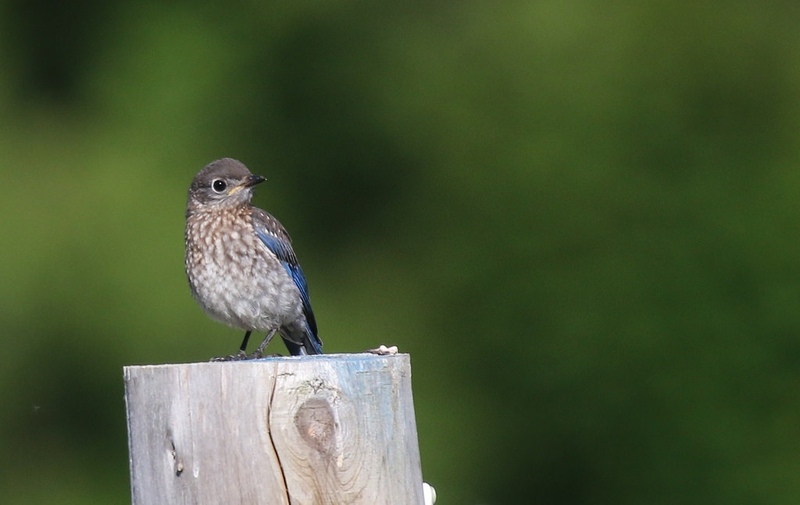 Truth be told, I’ve never had the pleasure of seeing Bluebirds other than through other’s wonderful photos… such as your’s. Hi Daniel thanks for visiting. We have tried a very long time to attract bluebirds, so never give up! your photos are heartwarming, thank you very much for sharing them. Thank you, I love these little birds so much. 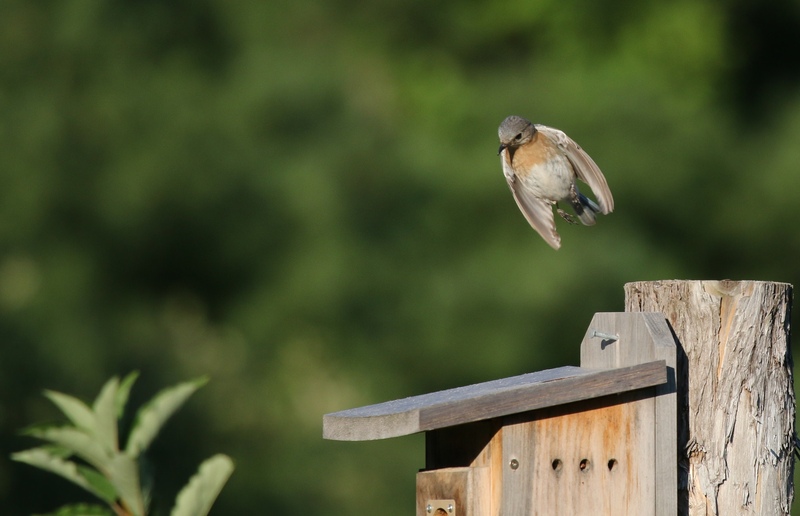 Impressive shots …..love the ‘in-flight! Thanks for stopping by Max. This is wonderful! 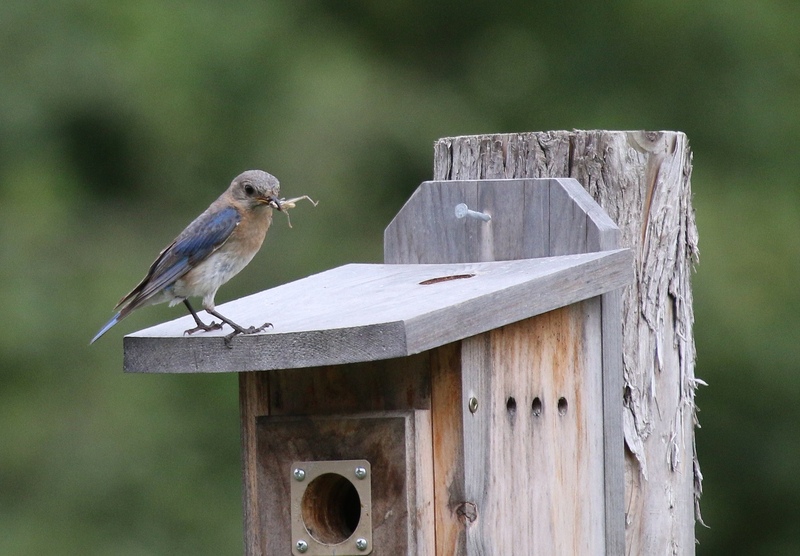 Even though I was brought up in rural Ontario I had not seen a bluebird ’til this summer. I was thrilled so you must be extremely thrilled to see then raise a family! Good luck to the second brood! Yes Barb, a huge thrill. We have been waiting a loooong time for these birds. You are amazing ,Leslie. And I love your blog. I do hope you manage to catch Mama and Papa feeding their babes. ..Life is definately better in blue! Such sweet little ones, Leslie thanks for sharing your amazing photos. Thanks Maria, I love them. Great photos Leslie! I love your work, such patience! Thanks Barb! The new little ones are still bombing all over the place, I have not had a good look at them yet!